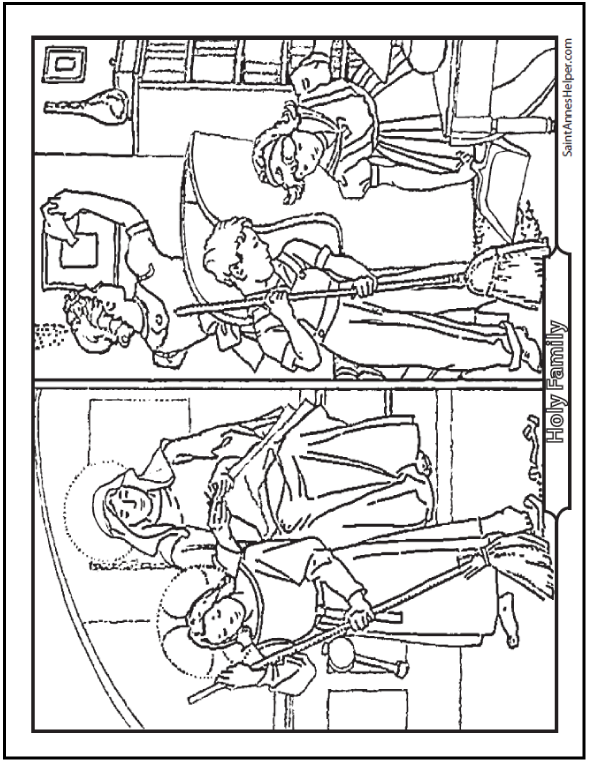 Fathers Day Coloring Pages To Print! 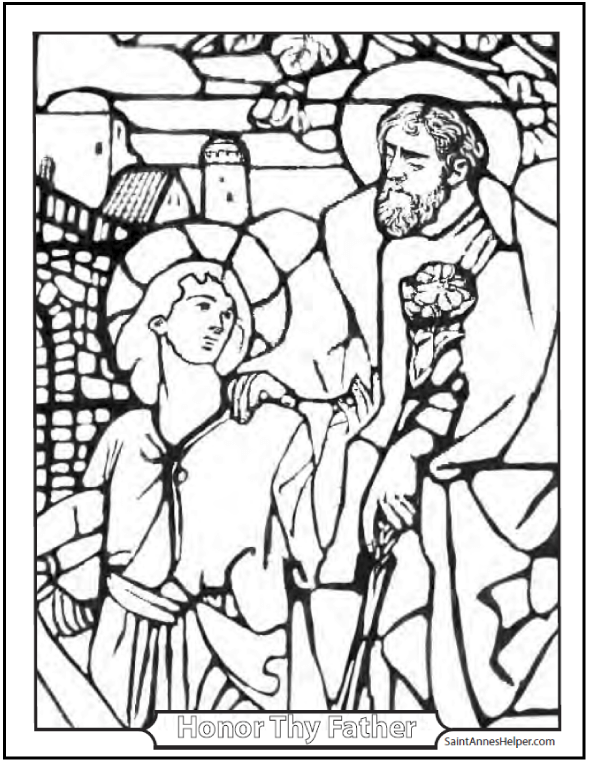 St. Joseph feasts and Father's Day Coloring Pages. 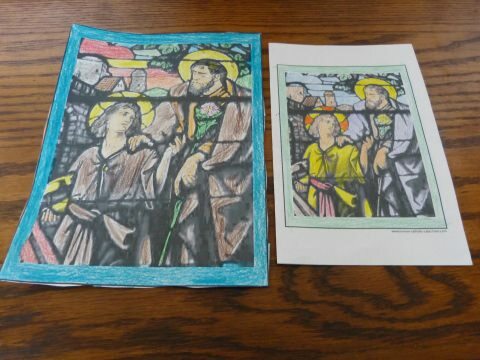 These religious Fathers Day coloring pages are from stained glass and old pictures from old books about St. Joseph and the Holy Family. 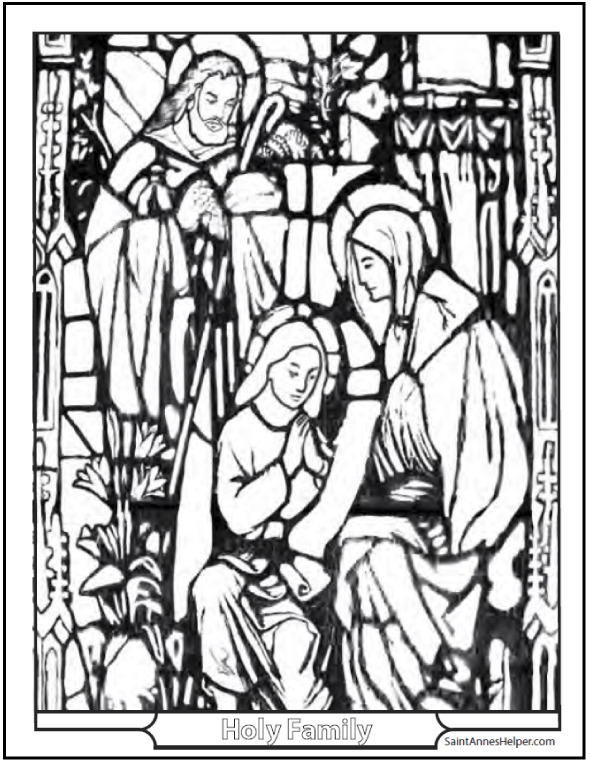 They're wonderful for the feasts of St. Joseph and the Holy Family. They're great to give to Dad on Father's Day, his birthday, or other events. Remember Grandpa and your pastor, too! 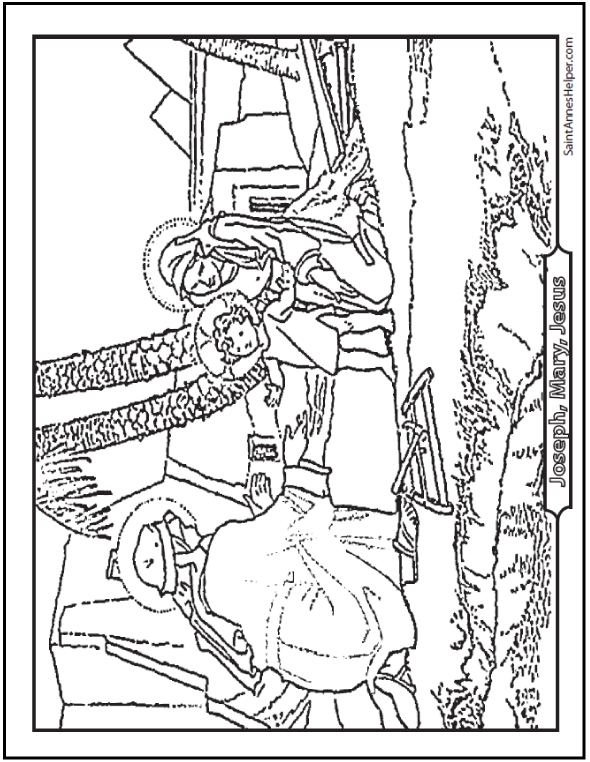 Use our free Fathers Day coloring pages to print your own custom coloring book! 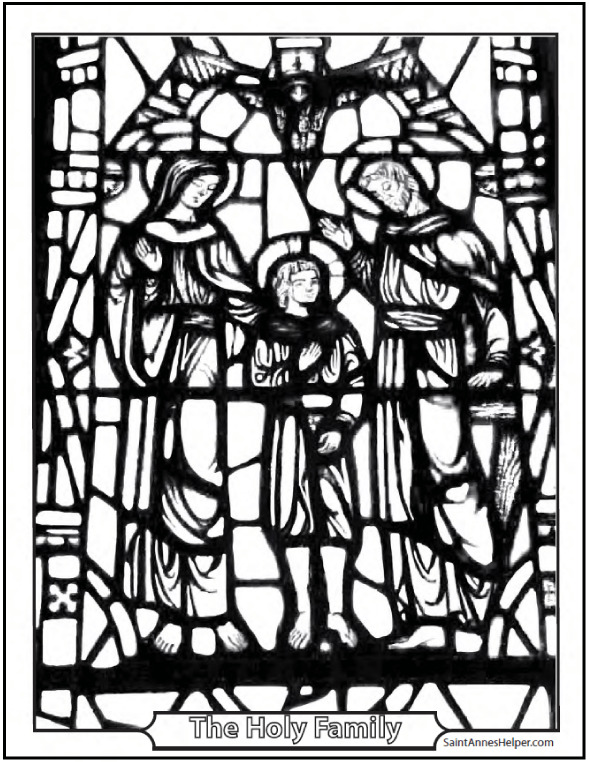 They're also great for teaching about the Fourth Commandment: "Honor thy father and thy mother." You can also make these into Father's Day cards. Simply use your printer's booklet setting to print on the right half of a sheet of paper. 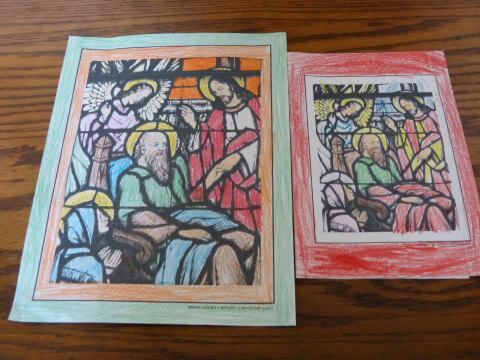 Color the picture with crayons, colored pencils, or markers. Decorate with glitter for a wonderful effect Dad will treasure. 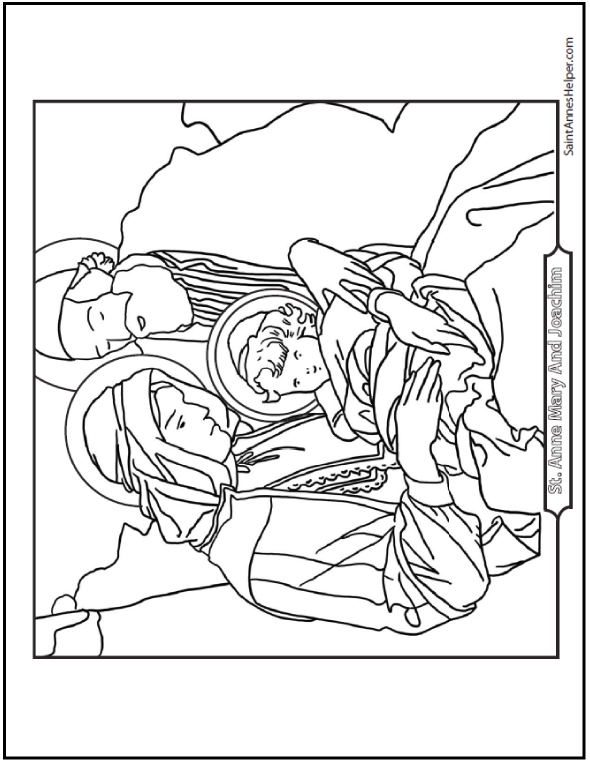 We also have more coloring pages for Dad on our sister site at ColorWithFuzzy.com. There are 35 pictures including some with Dad at the BBQ grill and playing with children. 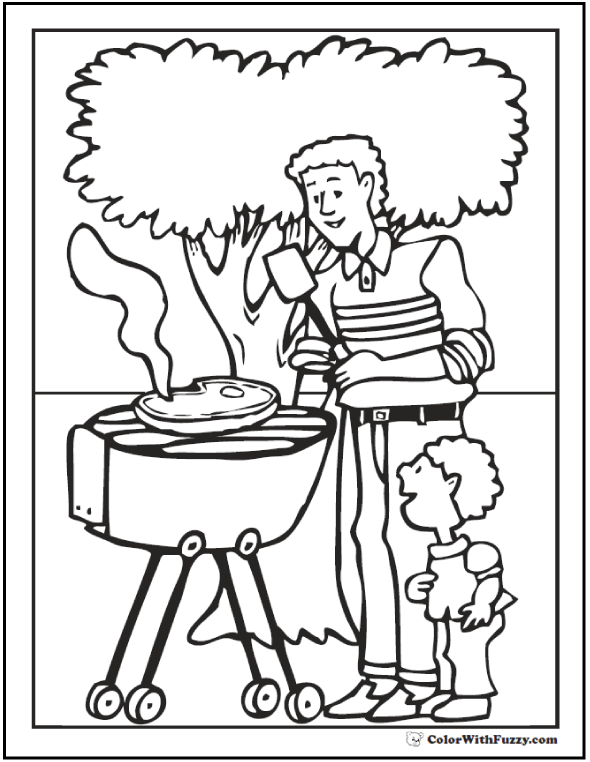 See Fuzzy's Father's Day coloring pages here.